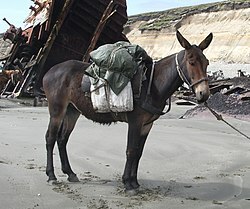 Most mules are sterile. Sterile hybrids are not species in their own right. Qatır yew heywanê de baranteno. Ena perre roca 13 Adare 2017 de, saete 04:01 de vırriye.